Product prices and availability are accurate as of 2019-04-11 06:07:41 UTC and are subject to change. Any price and availability information displayed on http://www.amazon.com/ at the time of purchase will apply to the purchase of this product. MHG Divine Legs High Definition Airbrush Foundation for the Legs gives an instant and perfect coverage for your legs. It flawlessly hides any skin imperfections such as uneven skin tone, wound scars, freckles and dark spots while at the same time moisturizes and infuses topically potent skin moisturizing and invigorating ingredients that includes Vitamin C +5000, Vitamin E, Niacinamide, Arnica Montana, Calendula Arvensis and Bromelain. Using MHG Divine Legs gives both the short term effect of an amazing airbrush foundation as well as the long term effect of a very powerful skin nourishing serum. With a waterproof, sweatproof and headturner coverage that lasts for up to 12 hours, it's about time that you move those stockings and jeans at the back of the closet. With legs oh so divine, those puny mortals have no choice but to stare in awe! S01: For very fair skin tone. S02: For fair to medium skin tone. 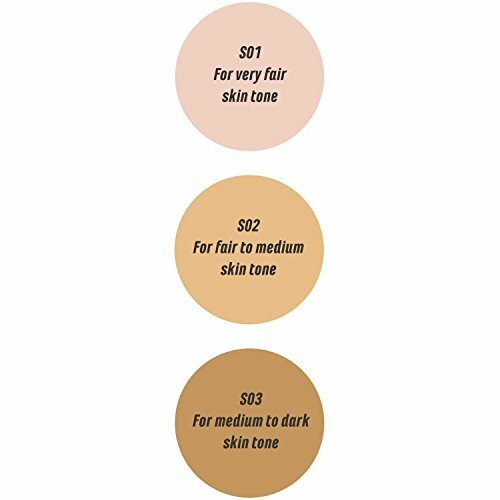 S03: For medium to dark skin tone. Instructions: Shake well. Hold the product atleast 8 inches away from the skin and spray. Spread using the hands until you achieve the desired coverage. Wait 1 minute before dressing. Wash your hands with soap and water after use. This product does not stain fabrics and is easily removed with soap and water.